Wesley Mukai, is Chief Technology Officer, GE Transportation Digital Solutions, where he leads GET’s digital technology and software vision, strategy, and architecture. 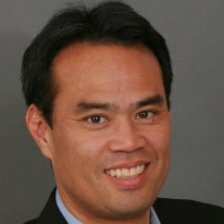 Prior to GE, Wes was Vice President, HANA Cloud Computing, at SAP, where he was responsible for architecting and building the largest HANA system in the world and the foundation for the HANA Enterprise Cloud. Wesley brings a wealth of experience in the high tech industry across the networking, computing hardware, telecommunications, and software industries. He held various senior management positions at Cisco Systems, Infogear Technologies, and PwC. Wesley has a B.S. in Industrial Engineering from Stanford University and an M.B.A. from Harvard Business School.